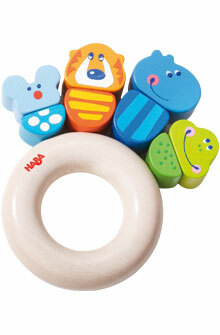 HABA 3867 - 4 little friends to grab, chew and hold. Wooden parts threaded on elastic band. Material: beech wood. Dimensions: approx. 4" diameter (including animals).